Few things are constant in the food and beverage industry, but we can count Tabasco sauce among them. The hot sauce brand was founded 150 years ago and has led the way in warming taste buds ever since. While it has added flavors to its family along the way, its original recipe pepper sauce, as well as its ingredients and manufacturing process, “remain virtually unchanged,” per its website. No one could argue that the staying power of Tabasco sauce is remarkable – and no easy feat. This is especially true considering the number of new hot sauce products that hit the market each year. For 2016, the USDA reported almost 21,500 food and beverage introductions. Of those, over 1,900 fell into the category of “sauces, dressings, and condiments.” The continuous barrage of competition from new and old brands alike keeps Tabasco sauce stakeholders on their toes. But the brand has paid heed to food and beverage trends to not only spice things up for variety, but to remain consistent – both which pay the bills. Based on their track record, it’s safe to say 2019 will be no different. The truth is, this year, food and beverage marketing trends will also be no different than those in recent years. Consumers still demand transparency from brands in ingredients and manufacturing. The majority – 66%– still prefer to buy from companies with a focus on sustainability. They’re on the hunt for products that promote health and wellness, and they want them to offer convenience, too. The difference is, with every passing year, more consumers are joining these movements. So, in turn, more food and beverage brands are jumping on the bandwagon to deliver on these points in an effort to differentiate itself from the other. Fortunately, an experience economy allows brands to spice things up with product sampling marketing, all while giving consumers an experiential view into the personality and core values they expect from modern brands. Tabasco is a great example. Last year, to celebrate its 150th year, Tabasco hosted a series of fun and educational events. It all began with a burlesque show, running three nights in New Orleans. This is the same place the brand held “Tabasco Week,” which put the company in partnership with area chefs to create special menus that featured the product. Diners could also watch a 360-degree video to learn the special care taken to create Tabasco sauce, providing the transparency they need and showing consistency in production and quality. This year, Tabasco is showing us a different side of its typical spicy character. The brand has teamed up with healthy food chef and bestselling author, Melissa Hemsley. Together, they recently hosted an event in London, which kicked off with an hour of yoga. 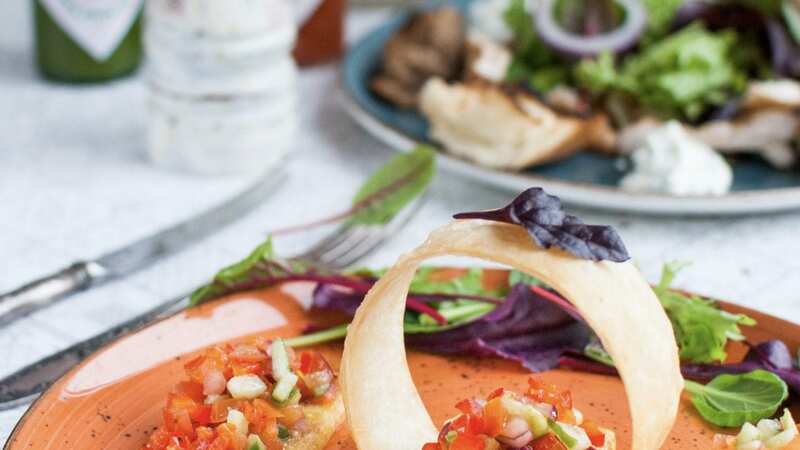 This was, of course, followed by food, with Tabasco Green Sauce adding flavor to a nutritious brunch, using food and beverage trends to reach a potentially new audience. It’s smart moves like these that keep Tabasco at the forefront of its category. Yet, event marketers and agencies must continue to offer variety in product sampling marketing to remain relevant. Let these examples of food and beverage trends at work inspire your product sampling marketing. Chum Fruit Bites with a cause no one will forget. This CPG brand is different from other fruit snacks in a couple of ways. One is its minimal and all-natural ingredients, making it a healthier option. The other is its commitment to giving back. Its cause of choice is Wildaid, to which it donates 15% of profits. This latter fact is important to younger consumers, with 76% having bought from, or likely to consider buying from, brands that show support of issues they care about. Animal rights and environmental activism are among Gen Z’s top causes. To earn consumer attention and share its values, Chum Fruit Bites took a fun approach to guerrilla marketing with its “gorilla marketing” campaign. This involved one brand ambassador and one actor in a life-like gorilla costume. 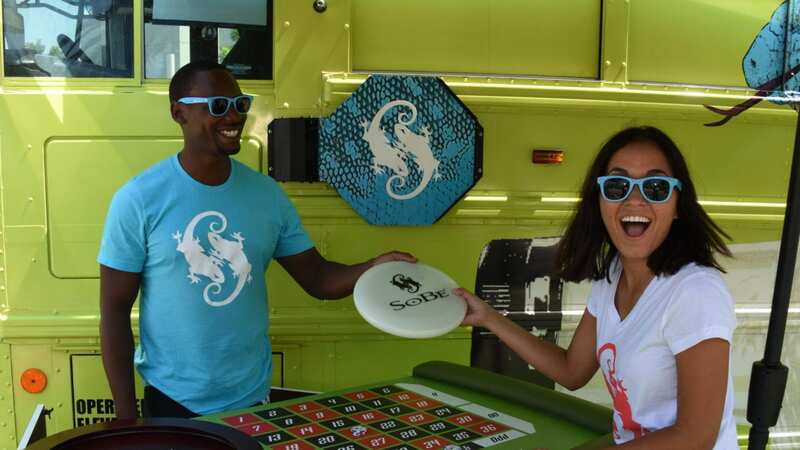 Together, they toured college campuses in southern California to engage students and hand out samples. It was a simple, inexpensive effort that passersby weren’t soon to forget. Wendy’s and Door Dash with a transparent look at what they offer. In a recent article, Forbes names “five things food and beverage brands can do to increase millennial loyalty,” and among them are strategic partnerships. These “not only increase value” for consumers, but give brands opportunities “to reach a second, already trusted consumer base.” Wendy’s fast food chain and Door Dash food delivery gave us a great example this past college football season. Their College Tailgate Tour was a 13-week product sampling marketing effort that fed hungry fans at tailgates. Brand ambassadors on co-branded bikes handed out burgers while sharing Wendy’s message that its meat is “fresh, never frozen.” While the messaging enforced Wendy’s quality, the activation impact was amplified by the convenience factor. Introducing Wendy’s delivery partner, Door Dash, served both brands well since people worldwide are willing to pay for its ease – $96.2 billion in the U.S. and €83 billion in the E.U., as the market stands now. Bacardi with a transparent look at its brand. In an increasingly mobile society, people want to build emotional connections more than ever. So, brands who can connect with consumers have an advantage. And, what better way than to personify your brand and share “who” it is. This is what Bacardi did with its Havana Club brand. In a NYC theatre, actors told the brand’s story – a dramatic one about a Cuban family’s experience in creating its rum. Mixologists greeted guests and gave them a signature brand cocktail. They then went into a room to hear the first part of the story, after which they received a skeleton key that paired them with a character for the next leg. This gave various attendees different perspectives of the story and something to discuss over more product samples. 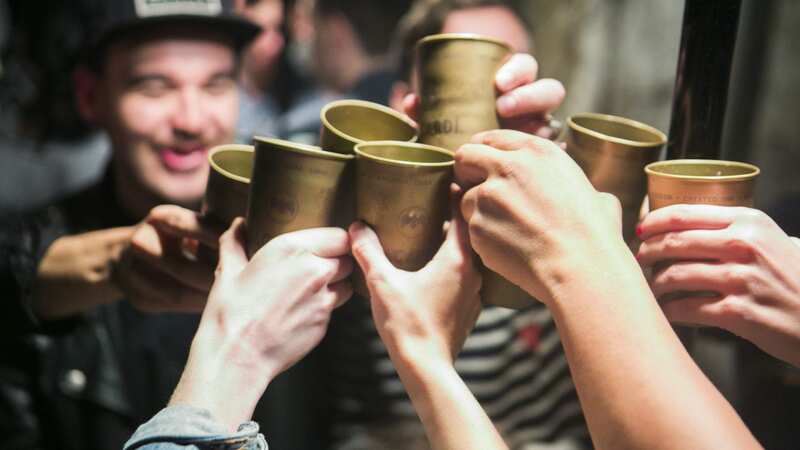 Immersive, story-driven activations like these are becoming more commonplace in winning consumers who are less loyal to alcohol brands than ever. Nature Valley with its finger on health, sustainability, and convenience – all at once. Last summer, Nature Valley, known for its wholesome granola bars, set a big goal for itself and consumers. If its followers walked a million miles, the brand would give $250,000 to the National Park Foundation. The challenge was rooted in the best way to get consumers on board. And, the answer was, what else, but to meet them in nature – specifically, at the zoo. To lure visitors to its table, Nature Valley offered free granola bars to fuel people for the day ahead. But, while there, brand ambassadors assisted them in downloading an app that would track their miles. These would not only count towards the million miles, but enter them in drawings to win prizes, adding to their excitement. The activation offered a free snack, tips to be healthier, and means to protect the Earth. It also gave people a look at what Nature Valley stands for. In all, it was a nice blend of variety and consistency to win today’s consumers. At Elevate, we have the people you need to spice up your product sampling marketing. From brand ambassadors to demonstrators, mixologists and beyond, we have what you need to reach consumers everywhere.